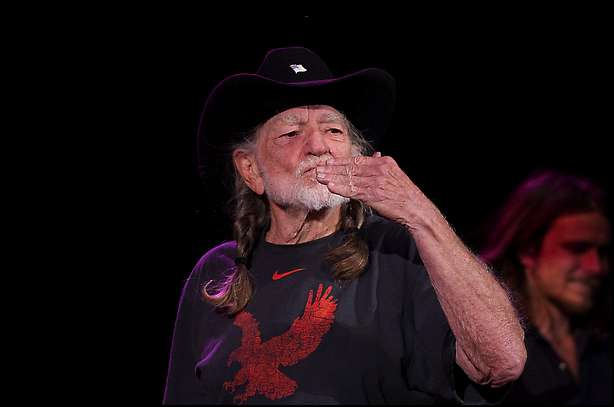 He may not pay his taxes, but Shotgun Willie paid his respects to the national champions at a concert in Denver last night. Or at least we think so. We can’t imagine what other team / eagle organization might have threads like this. So until he tells us otherwise, or we find out that it was just accidentally chosen in a haze of medicinal marijuana, War Eagle, Willie — let’s get on the road (to another championship) again. UPDATE: Andrew Salser tells it is in fact an Auburn shirt from Nike’s Mascot line. So yeah, glad the shirt is officially licensed… ’cause the stuff in his pocket ain’t. Eagle Eye Award goes to Auburn-Opelika roots rocker Adam Hood, who is currently the featured artist on Willie’s Country Throwdown Tour. Love it. Seen Willie several times including a few picnics in his home state, and the best concert I’ve ever seen him play, and top 5 of anybody I’ve seen all time, was at Beard-Eaves in the late 90’s. Can’t remember which year. Dude played for 2 or 3 hours straight. I don’t think they ever came off the stage. Wore about 50 different hats people were tossing on stage. Girls on shoulders flashing him. Epic. Like stepping back in time. Nice shirt! Too bad about the swoosh though. TWER, actually here in Denver the stuff in his pocket is legal. certainly Willie has medical marijuana card, but if he doesn’t the fine is only a dollar. It is a different world than the South for sure. Yet we are also the healthiest state, go figure. Work (out) hard, play hard. TWER, Willie is doing his Throwdown tour with an AU grad right now, (Building Science) . Drake White, an up and coming country music star graduated from Auburn in the late 90’s. However, he claims to be a lifelong Bamer fan. Anyway, the T-shirt Willie is wearing could have something to do with Drake or some of Drake’s friends. Can confirm what Brian said. Drake White is my first cousin. Lifelong Bammer fan is not exactly accurate, he is pretty much on the fence these days, but I do suppose he’d root for Bama to win the Iron Bowl. 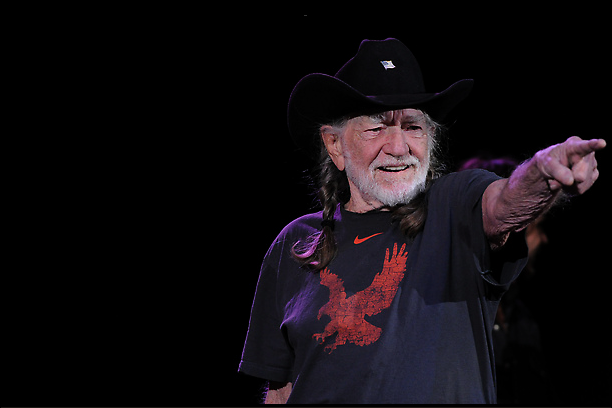 I gave this shirt to Willie (threw it on stage) when he came to Montgomery in Feb 2011. I don’t know why I am just seeing this but I am tickled orange and blue to see it. My main man is in orange and blue!!! and Nick, I got it in the sports store in the Auburn mall when we were there for the national championship celebration in January 2011. I am just seeing this posting and it has made my day. Another shirt tossed up on 9/26 in Wetumpka. This one has “Cow College” on it.